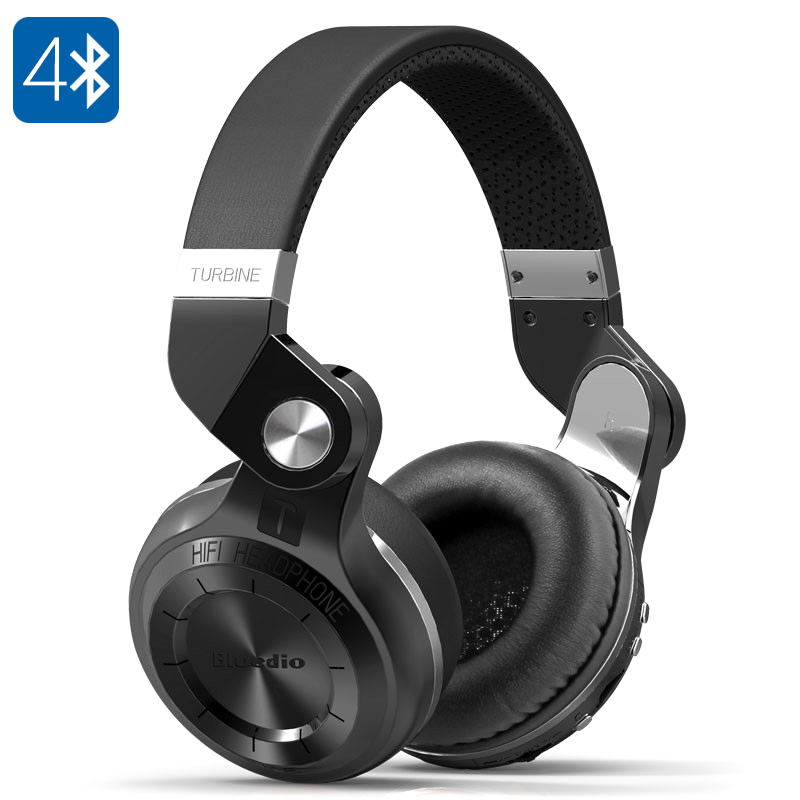 Successfully Added Wireless Headphones Bluedio T2 Plus Turbine - 75mm Driver, Bluetooth 4.1, 220mAh Battery, Built-In Mic, FM Mode, SD Card, 110dB to your Shopping Cart. The Bluedio T2+ Turbine wireless headphones bring along great audio quality for an affordable price. Known for its high-end products, Bluedio arguably produces the best headphones under 100 Dollars that, despite their cheap price, deliver outstanding audio. For all of you that like to enjoy your favorite songs on the go, make hands-free phone calls, or engage in online gaming sessions – these Bluetooth headphones are the ultimate electronic gadget. With its stylish and durable design, these wireless headphones can be worn with confidence at any occasion. Due to the fact that these headphones are foldable, they can be easily carried around within your bag anytime you head out of the house. Packing a powerful 220mAh battery, these wireless Bluetooth headphones can be used for a stunning 40 hours before running out of juice. Bluetooth 4.1 connectivity supports ultra-fast data transfers at low power consumption – guaranteeing that you’ll be able to listen to all your songs in stunning quality for numerous hours in a row. For those of you that prefer regular cord headphones, this wireless headphone comes with its own extension cord – allowing you to use them either with or without cable. Capable of producing up to 110dB, you’ll be able to blast those speakers away and enjoy all your favorite songs without being distracted by outside noise and sounds. Thanks to its SD card slot, these wireless speakers allow you to listen to the tracks you enjoy most even when you do not have your smartphone, tablet, or PC next to you. Simply save your favorite songs on your SD card, slide it in, and you’ll be able to enjoy them at any time of the day. FM radio support furthermore allows you to enjoy regular radio broadcasts ensuring that you’ll never miss out on the latest news, talk shows, or traffic reports again.